U.S. employers added 162,000 jobs in July, a modest increase and the fewest since March. Still, the unemployment rate fell to a 4-year low of 7.4 percent, a hopeful sign in an otherwise lackluster report. WASHINGTON (AP) — U.S. employers added 162,000 jobs in July, a modest increase and the fewest since March. 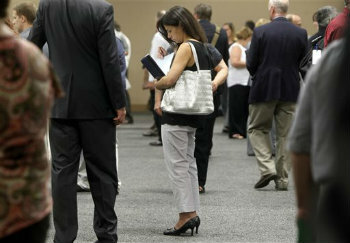 Still, the unemployment rate fell to a 4½-year low of 7.4 percent, a hopeful sign in an otherwise lackluster report.